I had a strong notion of the celestial when I sauntered into 20 Stories Manchester to review. 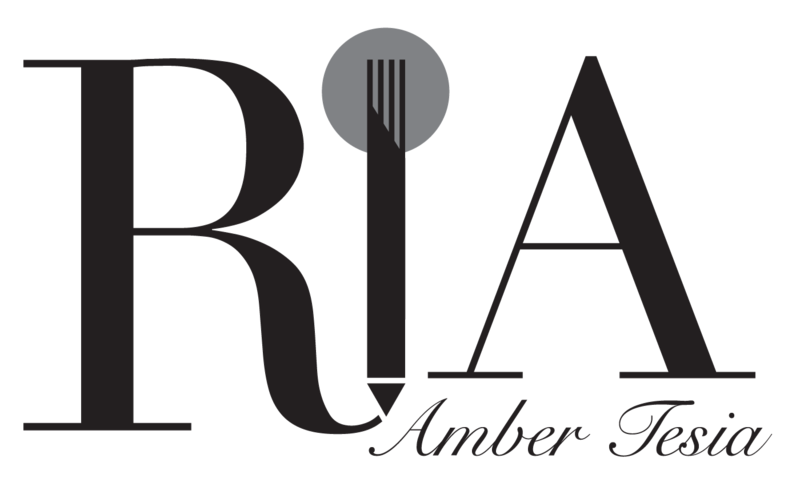 Launched over the summer with Aiden Byrne as Executive Chef, this restaurant and bar’s imposing presence is understated glamour. Cosy concierge and swifter than-Willy-Wonka’s lift aside, 20 Stories is an impressive behemoth of a building. Every surface, from the gleaming tiles, to the floor-to-ceiling windows, has undoubtedly been polished for copious amounts of time. I had wanted to visit 20 Stories for so long, and I am a huge fan of Aiden’s cooking – could he deliver? Smiling front of house staff showed us to our table which had a view to kill for. 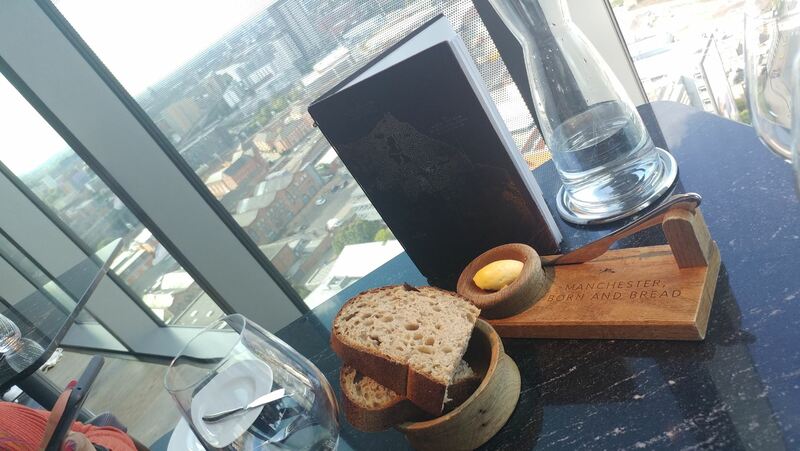 Sitting at a table overlooking the Manchester skyline is an extraordinary feeling. Stunning views and marvellous feats of architecture help me temporarily forget about scary orange politicians and make me feel grateful for the beautiful world we inhabit. I like bread. I like it even more when people hand me bread. Much like getting mail, receiving bread unsolicited is one of life’s simple pleasures. A pile of sourdough arrived with a flourish, sitting majestically atop a chunky wooden board, made all the more macho by its “Manchester Born And Bread” engraving. I love sourdough, and its yeasty tang. That with a generous dollop of unsalted butter (translates into 90% of the butter dish) was very good. You cannot beat a better start to a meal than bread, and I wish more eateries offered this surprise bread option. 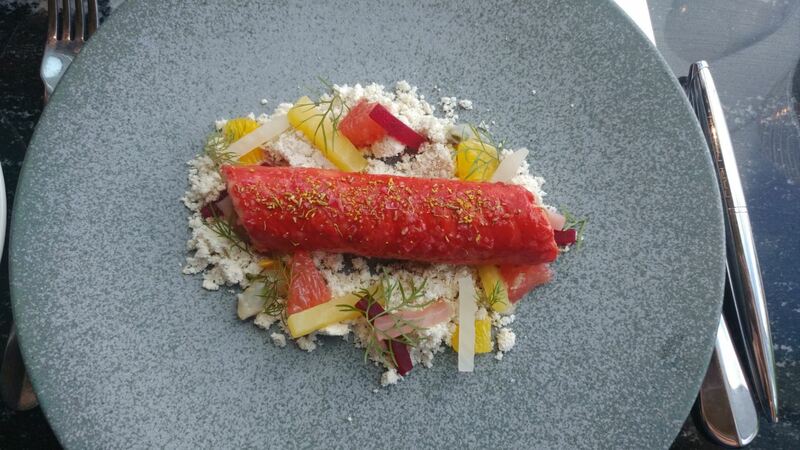 Much like Banksy’s art, my starter of beetroot poached salmon (citrus and fennel salad, pickled cockles) was a joy to behold. Blush salmon infused with beetroot was light yet playful on the palate. Fleshy grapefruit chunks provided the necessary tartness to accompany the fish, and the fennel gave it a fresh edge. Dining partner’s chicken and leek ballotine (roasted hazelnuts) was good, with fragrant leek and roasted hazelnuts marrying well with the chicken. My main of braised salsify (young leek, white onion mousse) was delicious. I am trying to eat more vegetables, and this vegetarian dish definitely helped bolster my vegetable intake. 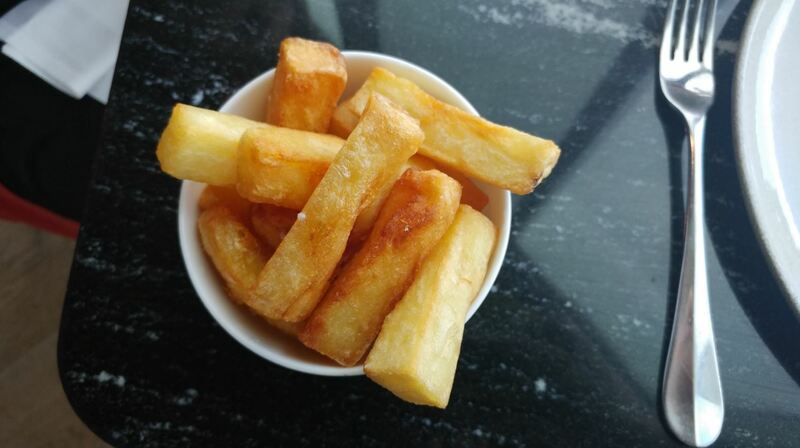 I am seeing more salsify on menus, which is a good thing, as it is such an underused yet versatile root vegetable. Braising helps accentuate the subtle oyster flavour. I loved this dish. It was a real balancing act between the piquant onion mousse that packed a punch in the flavour stakes, and the simplistic nature of the vegetables. It was an inventive dish although not entirely photogenic. Don’t let looks fool you, because it tasted sublime. Dining partner enjoyed grilled halibut (Boulangere potatoes, bourguignon). 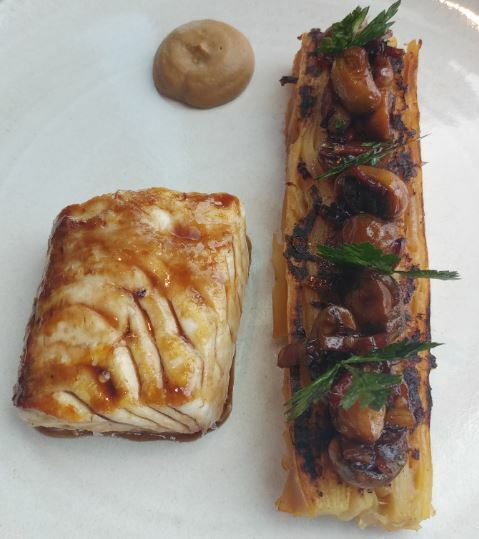 Fish was perfectly cooked with a gorgeous burnished glaze, whilst the mushrooms were gloriously chewy, meaty morsels. The bacon imparted a good smoky flavour to the sauce too, giving this dish extra oomph. Sides of chips were gloriously fat and crisp, whilst the salad (chicory, pear, blue cheese, walnuts) was one of my favourite dishes I have eaten in a while. Chunks of tangy cheese mingled with slivers of sweet pear, and slightly bitter walnuts tumbled through pretty pink chicory leaves was divine. 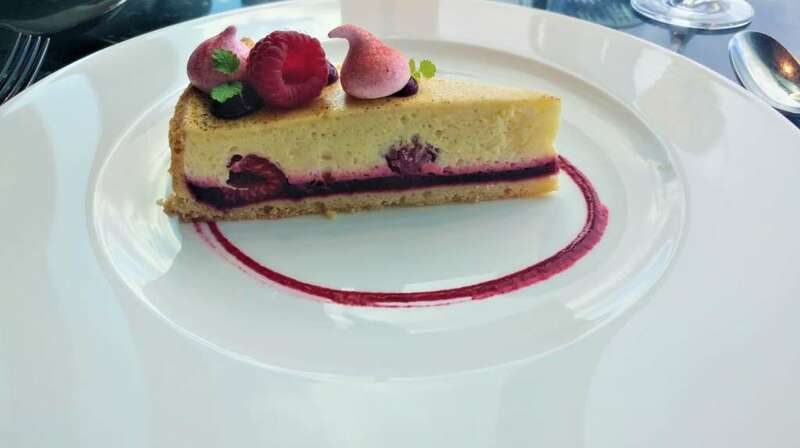 My dessert of Manchester tart was moreish; pastry with a wickedly short crumb, and luxurious custard base flecked with softened raspberries was delicious. The matched wine I sipped with this was Torrontes Tardio, Familia Zuccardi, whose whisper light apricot and honey notes went really with the custard. Dining partner tucked into chocolate fondant (Rocky Road ice-cream). The fondant had a good squishy centre whilst delivering a deep, dark chocolate hit. The ice-cream was pretty and satisfied my inner child (yes, I snaffled a forkful, it was lovely). The matched wine she sipped was Port Six Grapes, W&J Graham’s, whose forest fruit notes with dominant blackberries married well with the chocolate. Starter of beetroot poached salmon (citrus and fennel salad, pickled cockles). 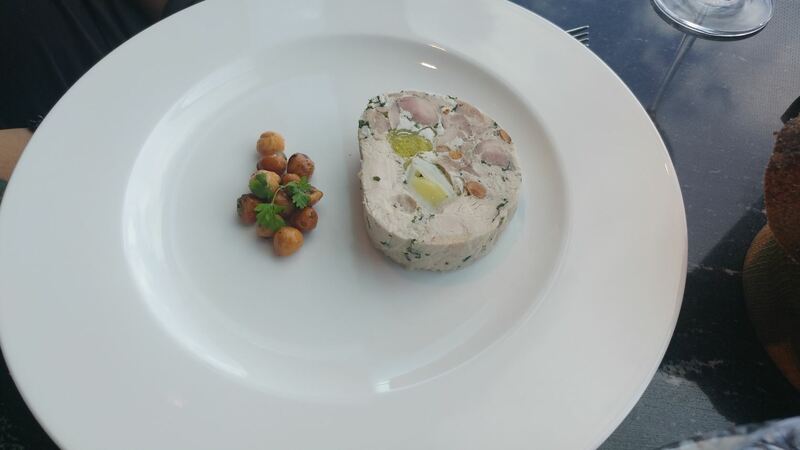 Starter of chicken and leek ballotine (roasted hazelnuts). 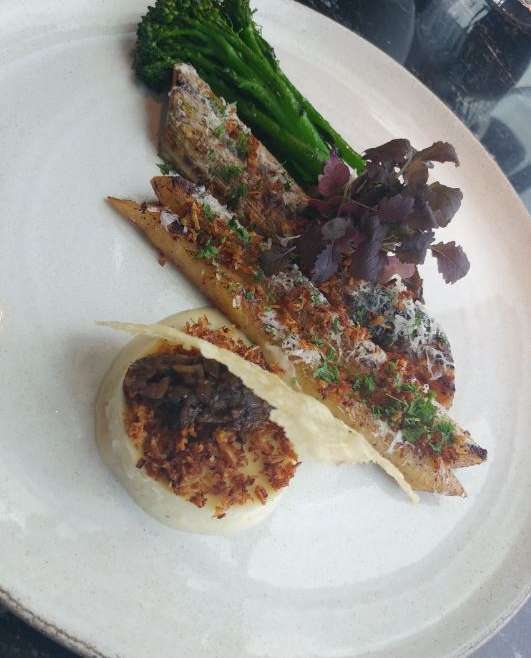 Main of braised salsify (young leek, white onion mousse). Main of grilled halibut (Boulangere potatoes, bourguignon). The 20 Stories bar should be celebrated in its own right, boasting a great selection of rum including Ryoma Japanese Rum (7 years) and Ron Zacapa Centenario Sistema Solera 23. The glamorous bar is a place where it is easy to while away the evening. The drinks menu is impressive. I also enjoyed the 65th Street cocktail during lunch. Now, I have a sweet tooth, and the delicious coconut rum tempered by sharp citrus from the fresh grapefruit was a great drink to sip in between courses. 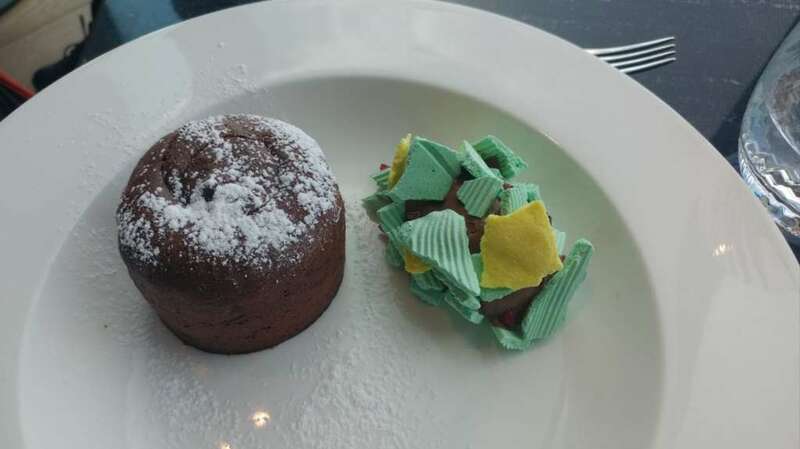 Dining at 20 Stories is a joy that everyone should experience a minimum of ten times. Service is great, with waiters gliding to and fro. You will also see Aiden in his chefs’ whites doing his rounds, keeping a watchful eye whilst at the helm of what is undoubtedly, a tightly run ship. Circling back to my vision of heaven, well 20 Stories is pretty much it. It is filled with good food, good drink, lofty spaces, and it is pure white. So clean and white and pristine, that it makes me want to live there. I don’t think Aiden would take too kindly to me being a stowaway there (the first thing I’d raid is the larder and eat ALL the bread). How to make reservation: Telephone and online. Bookings of 4 or more require a credit or debit card to confirm. Dress code: Smart. No sportswear or caps. Smart/tailored shorts allowed until 7pm. Quietest tables: 301, 311, 312. 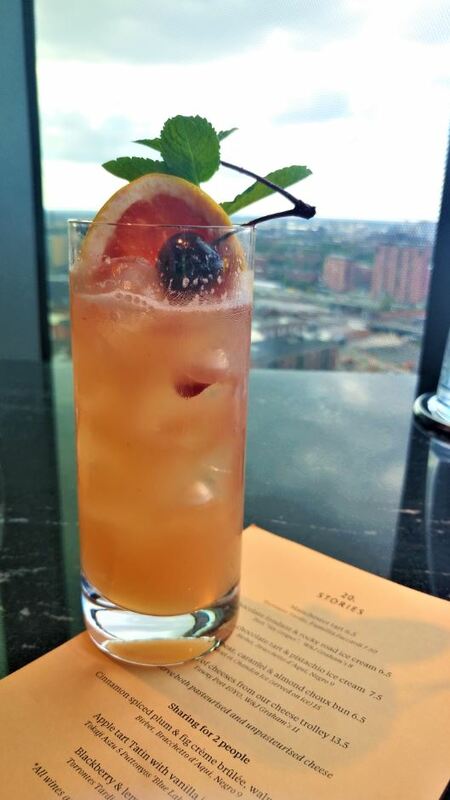 Best view: to watch sunset over Manchester, sit at tables 100, 101, 102, 103, and 104. Whilst in the area: Visit the beautiful University of Manchester John Rylands Library. Enjoy the free exhibition of Women Who Shaped Manchester, where you’ll see the city through the words and actions of extraordinary women. Exhibition on until 10 March 2019.